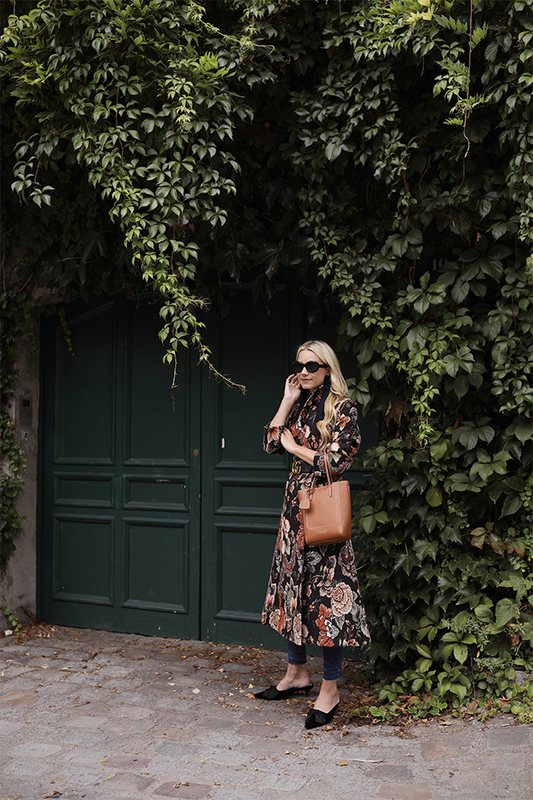 Floral Coat: Stella McCartney. Denim: Madewell. Belt: Gucci. Shoes: Zara (similar here and also love these maroon ones). Earrings: Sachin & Babi c/o (not available yet- I will post a link when they are! Find similar tassel earrings here and here). Wore this silk lace cami under! Sunglasses: Sold out, similar here. Thank you to Nordstrom for partnering on this post! What a gorgeous statement coat! these photos are so pretty! i was in Paris last week too and i loved it! Great photos and Paris is the most amazing location for them! It’s great how you combined the Gucci belt with the coat! So stunning! Have a great rest of your Sunday, lady! This not only makes me want to go to Paris again…NOW! 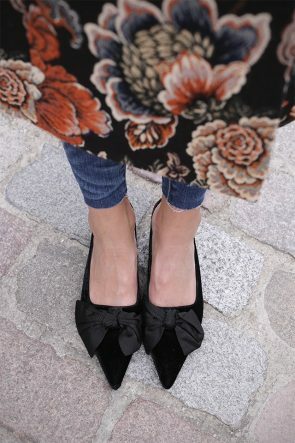 …but I’m also so in love with those shoes! Beautiful outfit and beautiful photographs 🙂 I love the autumn atmosphere. That’s such a stunning coat! I like that you’ll be able to wear that into the fall, layered with maybe a black turtleneck. Ha, definitely feel like I need to get a pair of kitten heels. I love this floral coat! 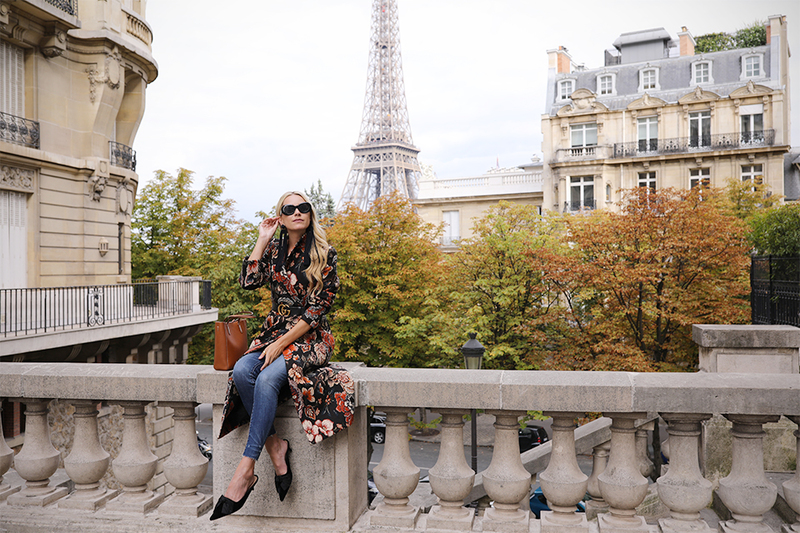 Absolutely amazing, Fall perfect outfit in always so dreamy Paris! Such a gorgeous statement coat Blair!! Awesome pictures. You look so stunning. I love the floral coat. I could seriously never get tired of Paris. I was there at the end of May, and I’m already longing back. This look of yours is so gorgeous! I’ve been thinking about investing in a Gucci belt, and I have to say this post of yours really gave me that last push. Have a lovely new week! ? That coat is GORGEOUS! I can already tell I’m going to be obsessed with your upcoming F/W looks. They’re already so good! This is so beautiful! Lucky girl, thanks for sharing! This jacket is soooo cute! Gorgeous! The coat is amazing! Love this outfit! Your style is on point! This coat is PERFECT for fall. I absolutely love how you styled it! Oh I LOVE this coat – its amazing, sooo beautiful!!! This floral print is so perfect for fall! Th colours are gorgeous. 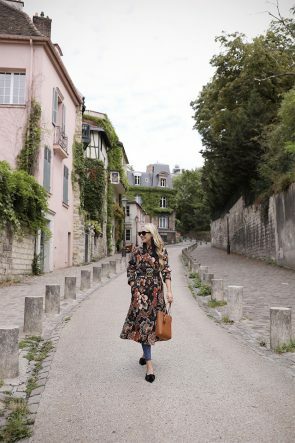 Your photos make me want to pick up and move to Europe! Please provide information on the handbag – it’s lovely! 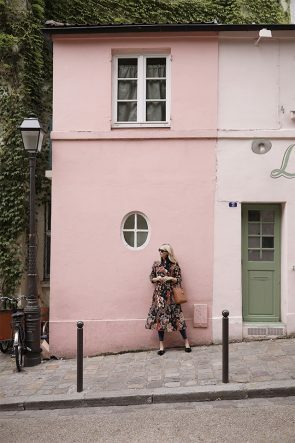 What a super cute look and I love love love the pictures, I need to go to Paris asap! Beautiful photos! I love always love florals regardless of season. Just bought a Rosie Assoulin floral puffer and I’m obsessed! 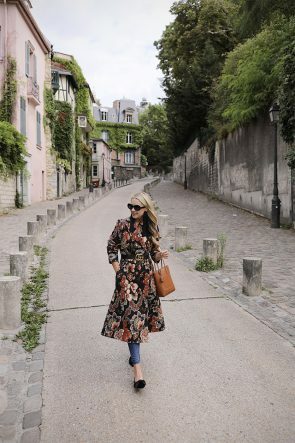 This floral coat is wonderful! With your skinny jeans got a really perfect look.